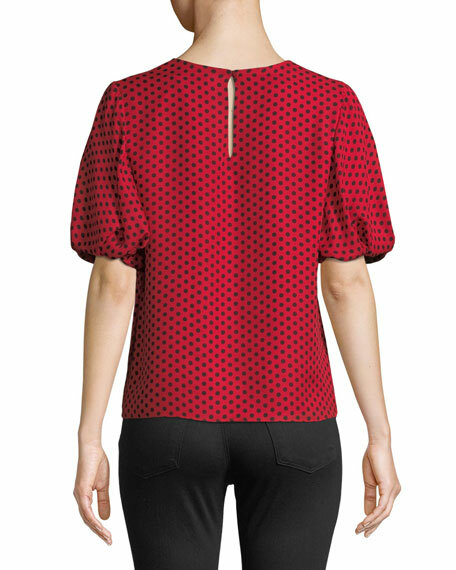 Milly "Melinda" top in polka dots. 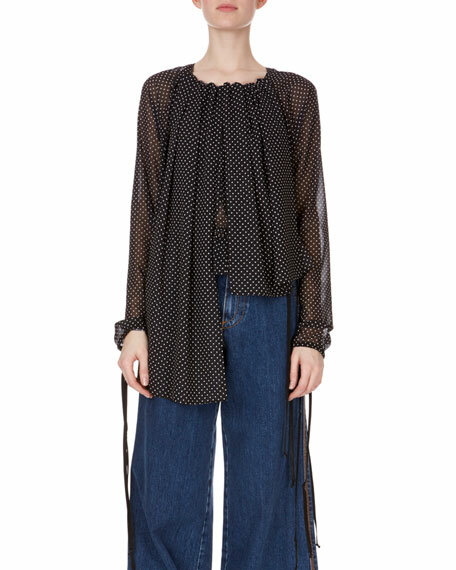 Figue "Tessa" top in dotted silk satin with ruffled frills. 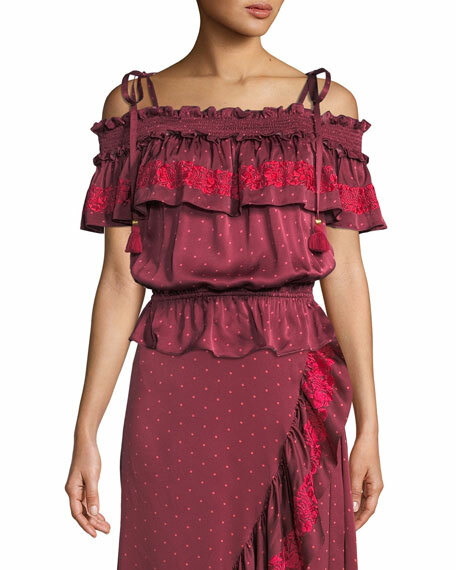 Smocked, off-the-shoulder neckline. 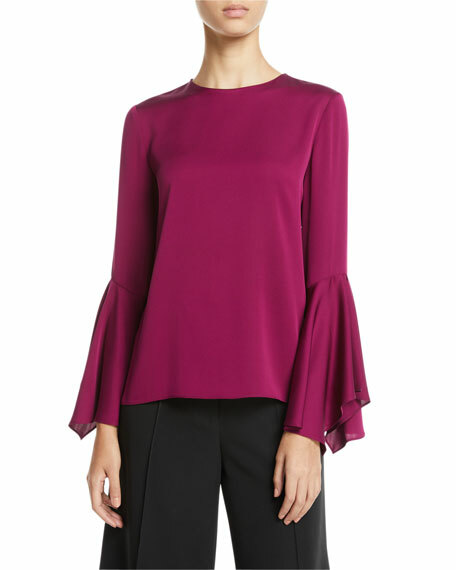 Shoulder tassel ties; flutter sleeves. Floral-embroidered overlay. Blouson silhouette. Elasticized waist. Slipover style. Imported. 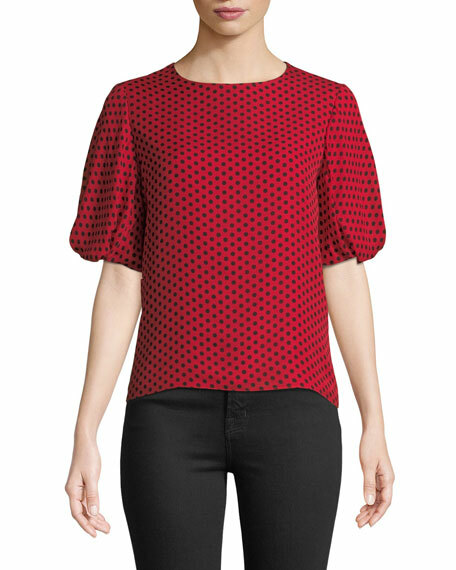 Loewe polka-dot blouse with ties at cuffs and sides. Round neckline; keyhole back. Long sleeves. Pleated front. Billowy fit. Slipover style. Asymmetric hem. Polyester; combo, silk. Combo 2, cotton. Made in Italy. 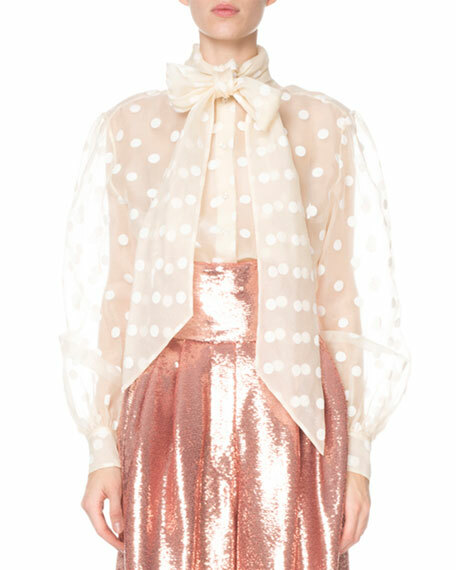 Marc Jacobs blouse in polka dot sheer organza. High, tied neckline; button front. Long sleeves. Relaxed fit. Shirttail hem. Silk/polyester. Silk lining. Made in USA of imported material.